"We have taken the first picture of a black hole," said Doeleman. "This is an extraordinary scientific feat accomplished by a team of more than 200 researchers." Doesn’t it look almost like what we all had imagined for years? A red ring of light surrounding deep darkness! Yes, scientists say that is how the mysterious black hole looks like. 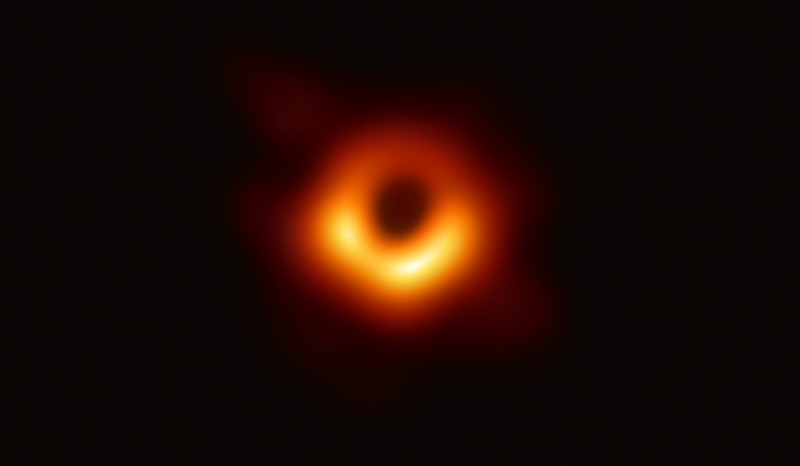 Event Horizon Telescope project director Sheperd S Doeleman of the Center for Astrophysics, Harvard & Smithsonian during a news conference in Washington, D.C. released the picture of a black hole located in the galaxy called Messier 87 in the constellation Virgo. The black hole, which is 55 million light-years away from Earth, has a mass 6.5 billion times that of the Sun. “The EHT links telescopes around the globe to form an Earth-sized virtual telescope with unprecedented sensitivity and resolution. The EHT is the result of years of international collaboration, and offers scientists a new way to study the most extreme objects in the Universe predicted by Einstein’s general relativity during the centennial year of the historic experiment that first confirmed the theory,” the team said in a blog post. Einstein’s general theory of relativity was published in 1915. According to that, matter, space and time come to a standstill inside a black hole. The shape of the shadow is circular, as Einstein’s theory predicts, reported New York Times. The team has also published research papersin the Astrophysical Journal Letters to proving the claims. A Google Doodle was unveiled on Wednesday to celebrate the historic event.